One of Britain’s oldest and most prestigious universities has bowed to pressure from the ‘Why is my curriculum white?’ campaign, which protests the alleged “Eurocentrism” of history teaching. The University of Oxford, which recently advised its constituent colleges to drop the use of “gender-specific” titles like Mr. and Mrs. after the students’ union told undergraduates to use the pronoun ‘ze’ in place of ‘he’ and ‘she’, will now impose a compulsory exam centred on black, Middle Eastern, Indian, and other Asian history, The Times reports. 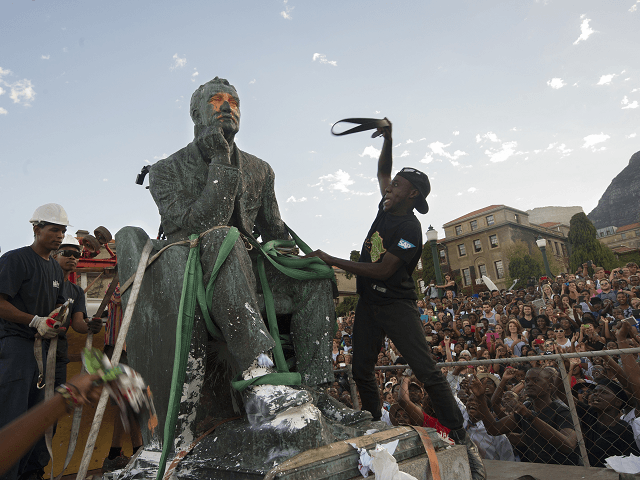 Martin Conway, who chairs Oxford’s history faculty board, claimed changes intended to “bring in diversity in terms of the teaching of history” were prompted by a consultation with students, “quite a few” of whom were active in the ‘Rhodes Must Fall‘ movement. Oxford’s theology department, in contrast, was recently restructured so students could graduate without studying Christianity at all after their first year. The move comes just months after the School of Oriental and African Studies (SOAS) Students’ Union complained that a “white curriculum” at the University of London felt “othering”, “alienating”, and “erasing” for many BME undergraduates. In a report titled ‘Degrees of Racism’, the union demanded more “research on whiteness” and more black and minority ethnic faculty members, due to the alleged inability of white professors to relate to BME students. Meanwhile, race-based campus activism is also stirring controversy in the U.S., where students at Evergreen State College barracked left-liberal biology professor Bret Weinstein and demanded his resignation after he opposed a ‘day without white people on campus’ event.